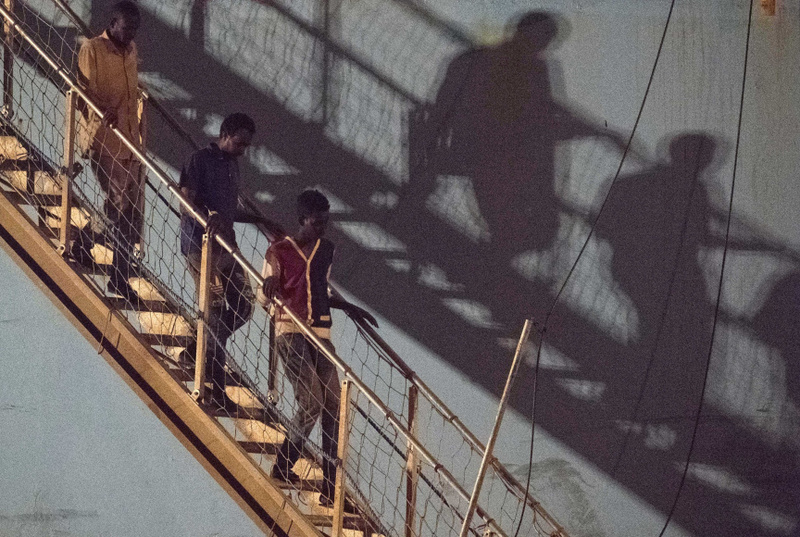 Italian Premier Giuseppe Conte said after a phone call with Malta's prime minister that the boat operated by German aid group Mission Lifeline would disembark in the Mediterranean island nation, where its legal standing to conduct missions off Libya would be investigated. However, Prime Minister Joseph Muscat did not confirm the assertion by Conte — and a similar account from French President Emmanuel Macron — that the Lifeline could dock in Malta. Muscat said in a statement only that if his country allowed the boat in, the activities of its crew would be investigated. Macron said France and other countries were working out how to divide the more than 200 rescued passengers. Indicating the confusion surrounding the boat's direction, Mission Lifeline wrote on Twitter that it had received hardly any direct messages — just news from Twitter — and that it was awaiting word about which EU countries would welcome its passengers. Later Tuesday, the aid group said Malta had sent a message refusing entry to its territorial waters, contradicting the Italian and French leaders and further confusing the itinerary of the ship and its passengers.